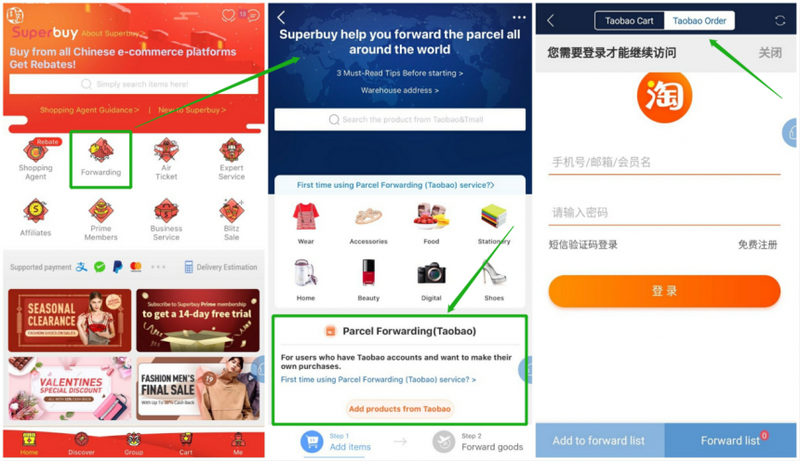 Due to Taobao system update, Superbuy App might not be able to load the pages of “Forwarding-Parcel Forwarding-Tabao Shopping Cart/Taobao Order”. Our App department is trying their best to solve the problem and we will let you know after everything returns to normal. 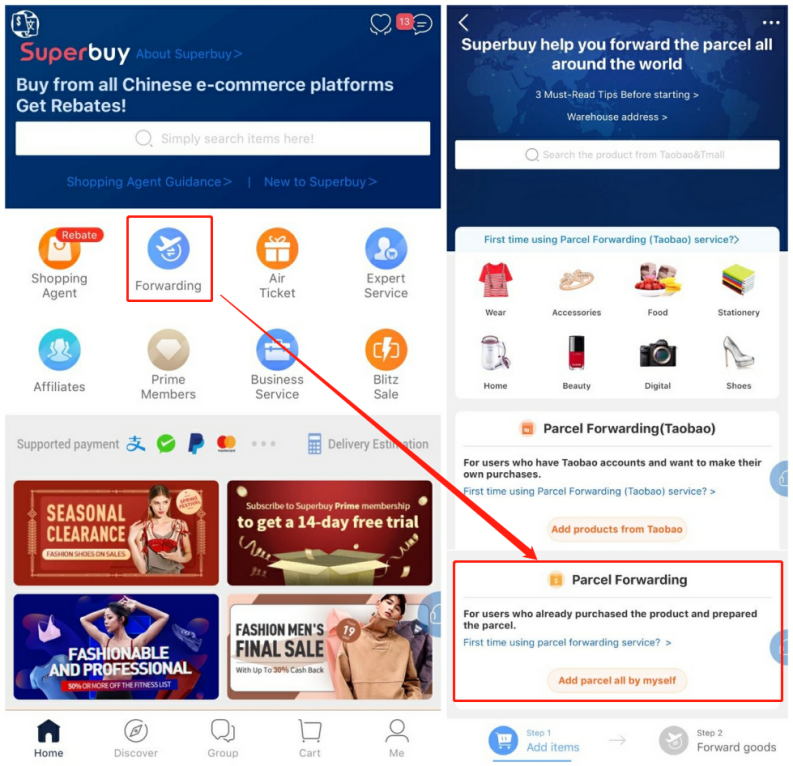 1.Use the “Parcel Forwarding” service on Superbuy App (shown as image 1) or the “Parcel Forwarding” service on Superbuy website. We apologize for any inconvenience and thank you for your understanding and support! sorry if answer now,but i don't understand the problem. Can you pls explain?